SpaceX's supply ship, the Dragon, was less than a mile from the orbiting outpost when a problem cropped up in the GPS system. The approach was aborted, and the Dragon backed away. NASA said neither the station nor its six-person crew was in any danger, and another attempt would be made Thursday. "As a pilot it is sometimes better to accelerate and circle around than attempt a difficult landing," French astronaut Thomas Pesquet said in a tweet from the space station. "Same in space — we'll be ready tomorrow!" 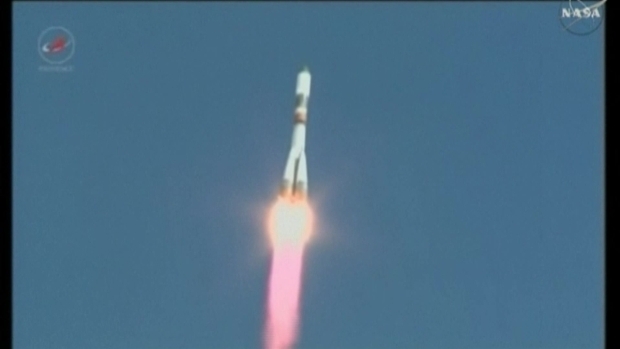 An unmanned Russian cargo ship lifted off successfully on a supply mission to the International Space Station. A Soyuz-U booster rocket carrying the Progress MS-05 spacecraft blasted off as scheduled at 11:58 a.m. on Feb. 22. 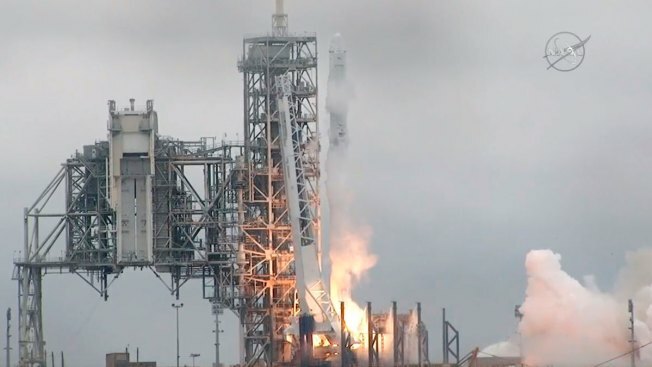 SpaceX launched the Dragon capsule Sunday from Kennedy Space Center's Launch Complex 39A, out of action since NASA's space shuttle program ended in 2011. It's the same spot where astronauts flew to the moon in the late 1960s and early 1970s. SpaceX has a 20-year lease with NASA for 39A; besides launching station cargo from there, the company hopes to send up astronauts as early as next year. Everything was going well with this latest SpaceX flight until the GPS issue. The Dragon's computers halted the rendezvous from just seven-tenths of a mile away. SpaceX said the problem is well understood and can be fixed before Thursday morning's delivery attempt. The Russian supplies should arrive Friday. 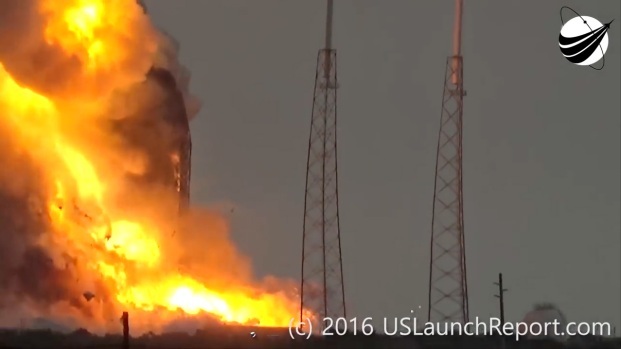 This was the first time that SpaceX had to abort a shipment at the last minute like this. The private company, led by tech billionaire Elon Musk, has been making station deliveries since 2012. In December, Russia lost a load of station supplies shortly after liftoff. The upper stage of the Soyuz rocket and the cargo ship ended up in pieces over Siberia. It's the same kind of rocket used for launching crews, and the accident ended up delaying the return of three space station astronauts and the launch of two others. Russian investigators concluded there was a manufacturing flaw in the third-stage engine. The 250-mile-high station is home to two Americans, three Russians and France's Pesquet. A massive explosion erupted Sept. 1, 2016, at SpaceX's main launch pad, destroying a rocket as well as a satellite that Facebook was counting on to spread internet service in Africa. AP reporter Vladimir Isachenkov contributed to this report.